Do you enjoy arcade fighting games like the Street Fighter series, but miss the joy of playing them with actual arcade controls? Razer is hoping to change that with the upcoming release of the Razer Arcade Stick, and they have enlisted two championship arcade fighter gamers to help them out. Today they announced that Keita “Fuudo” Ai and Hiromiki “Itazan” Kumada will be joining Team Razer to compete in gaming tournaments and assist in the development of their upcoming Arcade Stick. Fuudo and Itazan are certainly qualified in this arena; between the two of them, they have won three Super Battle Opera victories, three EVO championships and two World Cyber Games gold medals. 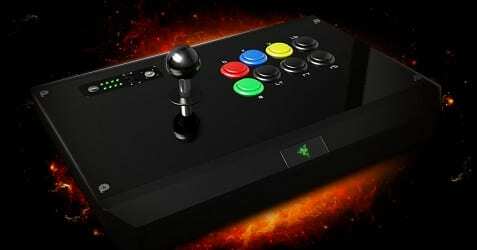 The Razer Arcade Stick is expected to be available sometime later this year, and will only be compatible with the Xbox 360. A number of new features have been added since the initial prototype, including the ability to easily open the chassis and remove or add components. Hopefully having the input of two well-experienced tournament gamers on their side will result in a number of other new features.